Besides the Principal Investigator (PI), seven people are involved. There will be an external collaborator, Prof. I. Poulakakis, two full-time Post-doctoral fellows, (one focusing on nonlinear dynamics and control and one focusing on mechatronics aspects), three Ph.D. students, Mr I. Kontolatis, Mr K. Machairas and Mr K. Koutsoukis, and two half-time technicians (a mechanical designer/ machinist and a electronics/ programmer engineer). Prof. Evangelos Papadopoulos received a Diploma in Mechanical Engineering from the NTUA, Greece, in 1981, and subsequently an M.S. degree in Mechanical Engineering from MIT. From 1985 to 1987 he was a researcher with the Greek Navy Research and Technology Office. Prior to this he was a research assistant at the LIDS, and the LMP Laboratories at MIT. He then continued his graduate studies at MIT and received a Ph.D. in Mechanical Engineering, in 1990. In 1991 he was appointed a Lecturer at MIT. Subsequently he joined McGill U., in Montreal, as an Assistant Professor, in the Department of Mechanical Engineering and as a member of the Centre for Intelligent Machines (CIM). He joined the NTUA in 1997, where he is currently a Professor of Mechanical Engineering. He teaches courses in Robotics, Controls, Mechatronics, Circuits and Systems, and Electromechanical Systems. He is a senior member of the IEEE and of the AIAA, and a member of the ASME, the IFToMM, the SigmaXi, and the Technical Chamber of Greece. He serves as an Associate Editor of the Mechanism and Machine Theory journal and he has served as an Associate Editor of the IEEE Transactions on Robotics and as a Guest Editor for the IEEE/ASME Transactions on Mechatronics. He has given invited lectures in both academia and industry. His work has led to more than 200 publications in journals and conference proceedings that have attracted more than 1000 citations, with an h-index between 16-24 (Scopus-Google). Dr. Papadopoulos was first introduced in legged robotics at MIT by Prof. Marc Raibert, who was a member of his Ph.D. committee. Later, at McGill U., he cooperated with Prof. Martin Buehler, and co-supervised two M.Eng. Thesis in the area of dynamics and control of quadrupeds (one of whom works at Boston Dynamics). At the same time, he introduced the Force-Angle dynamic stability criterion, which has been cited and used in the field of legged locomotion extensively. At the NTUA, he has supervised two Ph.D., one MS, and three diploma Theses. Among other results, this work showed that it is possible to control both the apex height and the speed of a legged robot with one actuator per leg only. Currently, he supervises two Ph.D., two MS and two Diploma students in legged locomotion. With his team, he has built a monopod, a quadruped, and test facilities, while he has been the PI of research grants, in Canada and Greece. 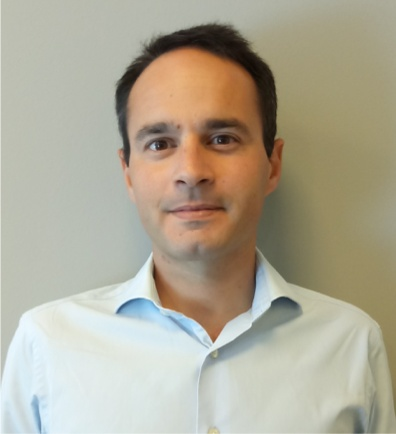 Prof. Ioannis Poulakakis is currently an Assistant Professor with the Dept. of Mechanical Engineering of the U. Delaware. During the period 2009-10, he worked as a Postdoctoral Research Associate at the Dept. of Mechanical and Aerospace Engineering at Princeton University, where he was collaborating with Prof. N. Leonard and Prof. P. Holmes. In December 2008, he completed his Ph.D. thesis at the U. of Michigan, where he was registered in the Dept. of Electrical Engineering and Computer Science and a member of the Control Systems Lab. His Ph.D. research was conducted under the supervision of Prof. J. Grizzle. From 2000 until 2004 he was working as an M.Eng. and then a Ph.D. student at the Centre for Intelligent Machines (CIM) at McGill U. under the supervision of Prof. M. Buehler and Prof. E. Papadopoulos. Prior to that he was with the Department of Mechanical Engineering at the NTUA working with Prof. E. Papadopoulos. His current research interests are in the area of dynamics and control with application to bio-inspired robotic systems. His work has been concentrated on the theoretical development and experimental evaluation of control laws for legged machines, including monopedal, bipedal and quadrupedal walking and running robots. 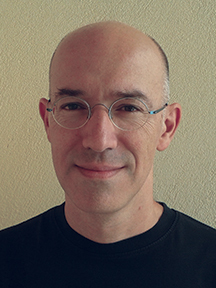 The goal of his research efforts is to replace existing empirical control approaches, often involving time-consuming, trial-and-error techniques, with a general framework for the systematic design of controllers for legged robots that will enable the use of such machines in real-world tasks. Dr. Kostas Vlachos received his Diploma in Electrical Engineering in 1993 from the Technical University of Dresden, Dresden, Germany. He worked from 1996 to 1998 as a software analyst in INTRACOM S.A., Greece, where he developed software modules for mobile switching center applications. Dr. Vlachos attended the interdepartmental postgraduate program "Automation Systems" at the National Technical University of Athens (NTUA), Athens, Greece, and received the M.S. degree (2000) in the area of Automatic Control. In 2000, he was accepted as a Ph.D. candidate at the School of Mechanical Engineering, NTUA, under the supervision of Prof. Evangelos Papadopoulos, and he received the Ph.D. degree in the area of Robotics in 2004. During his dissertation, he focused on the design, implementation, and control of a robotic haptic interface, part of a training simulator for urological medical operations. From March 2004 to December 2007 he was a postdoctoral researcher at the School of Mechanical Engineering, NTUA, within the PYTHAGORAS program, working on haptic and simulation technologies for medical operations. From 2007 to 2013, Dr. Vlachos was a visiting Lecturer at the Mechanical Engineering Department, University of Thessaly, where he taught courses in the areas of Control Systems, Mechatronics, and Robotics. At the same period, he was a research associate with the School of Mechanical Engineering, NTUA, participating in various research programs. His research interests include control of robotic mechanisms, microrobotics, autonomous navigation of robots, haptic mechanisms, and medical robotic simulators. Dr. Panagiotis Vartholomeos works from January 2014 as a Marie Currie Research Fellow at the R&D department of IT company SingularLogic S.A., in Athens Greece. From 2010 till 2013 worked as a Research Fellow at Harvard University and at the Cardiac Surgery Bioengineering Lab at the Children’s Hospital Boston, where he conducted research on Image Guided Minimally Invasive Surgical Robots, under the supervision of Prof. Pierre Dupont. From 2008 till 2010 worked as a robotics researcher at the R&D department of company ZENON S.A. in Athens Greece, where he contributed in research projects related to medical robotics. He has participated as a researcher in more than ten US funded projects, European Union funded projects and a European Space Agency funded project. His research interests include robotics, mechatronics, modeling and control of dynamic systems. He has been the author of more than twenty-five peer reviewed publications in journals and international conference proceedings. He has more than two hundred fifty (non-self)citations and has been nominated four times finalist for best paper award in the top robotic conferences. Dr. Panagiotis Vartholomeos received the M.Eng degree in Electrical & Electronic Engineering from Imperial College London in 2001 and his PhD in Mechanical Engineering/Robotics from the National Technical University of Athens in 2007. Ioannis Kontolatis received his Diploma from Technical University of Crete (TUC), in January 2005, in Production Engineering and Management. In his thesis he developed a Graphical User Interface (GUI) using the C language and Open GL API for handling three dimensional grids and surfaces. He became conversant with CAD, CAM and CAE. He attended the Postgraduate Program “Automation Systems” organized by the Department of Mechanical Engineering of NTUA and received the M.S. Degree in 2008. His Master thesis concerned position feedback for visual servoing implementation of a space robot simulator. During this period he became member of the NTUA Control Systems Lab team and familiarized himself with control systems, space robotics, image processing, artificial vision, visual servoing, and real-time systems. Since 2009, he is a PhD Candidate with the Dept. of Mechanical Engineering of NTUA. His research is in the area of dynamics and control of legged robots with compliance. Kostas Koutsoukis was born in Athens in 1986. He received his Diploma in Mechanical Engineering from the National Technical University of Athens (NTUA) in October 2012. His thesis concerned the development of a modeling and a simulation environment with experimental validation for a monopod robot. He worked as Production Manager in marble industry for 2 years. Since June 2013 he is a PhD Candidate in the Department of Mechanical Engineering of NTUA. Nikolaos Galanis received his Diploma in Mechanical Engineering in 2004 from Polytechnic School of Aristotle University of Thessaloniki and his PhD in Engineering in 2011 from National Technical University of Athens. Currently, working as researcher in CS Laboratory of Prof. Papadopoulos in School of Mechanical Engineering in National Technical University of Athens. His professional experience also includes: - A number of design and manufacturing process for large Corporations (i.e. NSRC D, Athens Water Supply and Sewerage Company "EYDAP SA") - Cooperation with technical and consultant offices for large Intustrial Projects (i.e. Technometrics Ltd.) - Instructor for Energy and Efficiency problems and ways for Energy Saving (Passiv Haus) - Teaching in Technical Educational Institutes (i.e. TEI of Chalkida, School of Pedagogical and Technological Education). Pavlos Stavrou is a graduate of the Department of Informatics and Telecommunication of the University of Athens. He is currently a PhD student at the Department of Informatics and Telecommunications in the filed of 3D Graphics and Image and Video Transmission over WSNs. Pavlos has worked as an embedded and high-level software developer in the R&D industry and has participated in a number of funded European projects.